When most people think about jazz, they think of instruments like the saxophone, trumpet or piano, but rarely, if ever, do they think of the harp — but perhaps they should. One of the most innovative jazz performers was harpist Alice Coltrane, whose masterful and experimental style took the genre to new heights. 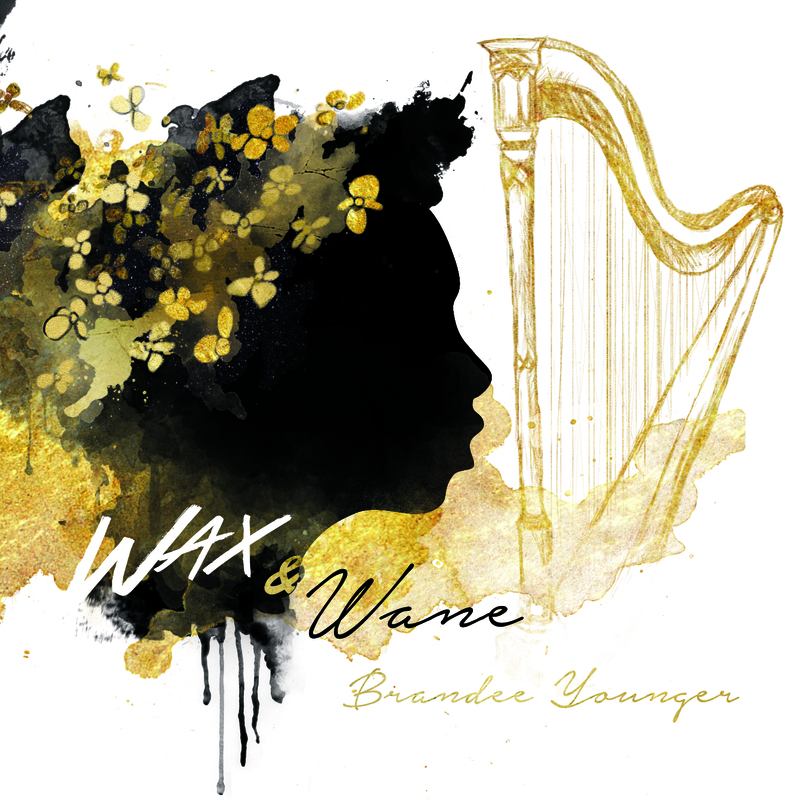 Following in her footsteps is harpist Brandee Younger, who is bringing the instrument and jazz into a new day with her brand new album, Wax & Wane. Opening track “Soul Vibrations” establishes what we can expect from the collection from jump. Starting off with a soulful drum and bass guitar rhythm reminiscent of ’70s funk, it soon blossoms into an alluring, intoxicating musical landscape as harp, flute, strings and saxophone join the party, taking it in unexpected directions while still keeping its funky base. The rest of Wax & Wane is just as progressive, with tracks like “Essence of Ruby,” “Afro Harping” and the title track keeping up the funk while others like “Ruby Echo” and “Ebony Haze” deliver hushed, gauzy moments that bring a calm to the proceedings. Then there’s album closer “Black and Gold,” which seems to incorporate everything heard previously and artfully flips it all into a modern, foot-tapping number that sticks with you. You can stream Wax & Wane in its entirety below. If it tickles your fancy (and we’re more than sure it will), you can pick it up right now on iTunes.